Song of Pensive Beholding (2009) Selected work documentation in photography. Legend Lin Dance Theatre, Song of Pensive Beholding (2009). Photo Credit: CHIN, Cheng-tsai. The history of the Legend Lin Dance Theatre is very much the story of its artistic director and choreographer Lee-Chen Lin, who founded the repertory company to present large-scale performance works depicting the spirit and culture of her native island Taiwan. Inspired by local religious rituals and ceremonial rites, which celebrate the rhythms of nature and Man's place in it, the art of the Legend Lin Dance Theatre blends an immersive visual aesthetics with choreographies that underlie new meaning to the concept of “poetry in motion.” The dance work is imbued with intensity, permeated of spiritual essence, likewise evoking ancestrally the sovereignty of nature to emerge in its whole. Lin’s silent, slow and tensional pieces are composed in form of a trilogy - tribute to Heaven, Earth, and Man. The trilogy serves as witness to transform concerns for local culture into a distinct visual and corporal vocabulary, which continues to stun and enchant the audience with a meditative and majestic elegance, belonging to the soul. The VENICE INTERNATIONAL PERFORMANCE ART WEEK 2014 shows Song of Pensive Beholding (2009), selected photographs of the series. Photographs by CHIN, Cheng-Tsai. Courtesy of Legend Lin Dance Theatre. Legend Lin Dance Theatre, Song of Pensive Beholding (2009). 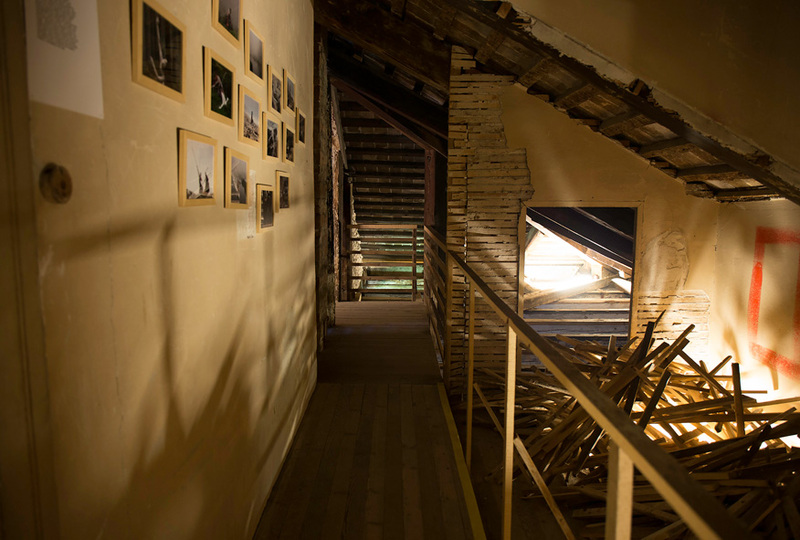 Exhibition view at the Venice International Performance Art Week (2014). Photograph by Samanta Cinquini.